This lesson will show you how to view your billing history for invoices and billing items. 1. Click on the Billing Tab. 3. Click on the Pencil icon to view the item. 4. Click on the Invoice # to view the invoice. Note: You can also access the invoices from the "Invoices" tab located to the right of the Items tab. 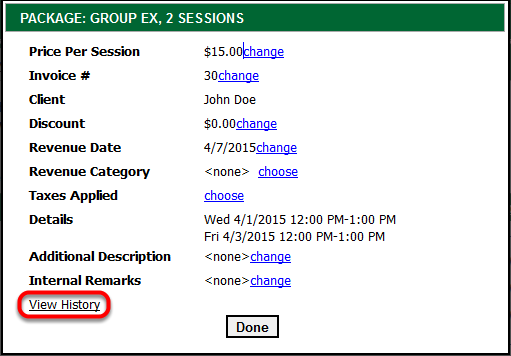 Note: You can also access the billing item history by clicking the Pencil icon to the left of any billing item. Click Close at the bottom of the page when done.